In this fourth exclusive excerpt from author Peter Dale Scott’s new book “The American Deep State: Wall Street, Big Oil and the Attack on U.S. Democracy,” the professor emeritus of English at Berkeley and former Canadian diplomat lays out how the CIA has run slush funds since its inception. In it, Scott marshals evidence that the proceeds of several U.S.-Saudi arms deals are the common denominator tying together every major “deep state” event involving the U.S. since 1976. Scott is considered the father of “deep politics”—the study of hidden permanent institutions and interests whose influence on the political realm transcends the elected. In “American Deep State,” he painstakingly details the facts lurking behind the official histories to uncover the real dynamics in play. If you’d like to read more, please check out this excerpt detailing the hidden hands of the Continuity of Government Group aka the Doomsday Project, another on its resurgence after 9-11, and this analysis of how the revolving door between the CIA and Wall Street shapes global events. Since it first began to be involved in covert operations, the CIA has always been able to draw on funds that were not specifically authorized by Congress for that purpose. Allen Dulles, while still a lawyer at the influential Wall Street firm of Sullivan and Cromwell in New York, was able to arrange for this. The CIA also made systematic use in Asia of self-financing drug trafficking forces to increase its covert influence—in Thailand and Burma, then in Laos and Vietnam, and most recently in Afghanistan. (5)With America’s expansion overseas, we have seen more and more covert programs and agencies, all using drug traffickers to different and opposing ends. Ten times as much money, $106 millions in commissions, went from Lockheed to another important CIA asset, the Saudi arms dealer Adnan Khashoggi. Khashoggi’s political advisor for two decades was Miles Copeland, a veteran of first CIA and then the CIA’s contractor Booz, Allen, & Hamilton, a consulting company that also worked with big oil. Khashoggi in turn dished out money from Lockheed and other defense companies to political leaders around the world, including America. In the Reagan administration, arrangements were made for payments to be returned, through either informal set-ups or secret codicils in the contracts, by the Saudi Arabian government itself. Two successive arms deals, the airborne warning and control system (AWACS) sale of 1981 and the al-Yamamah one of 1985, considerably escalated the amount of available slush funds. 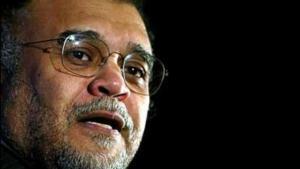 According to Robert Lacey, the payments to Prince Bandar were said to total one billion pounds over more than a decade. (18) The money went through a Saudi Embassy account in the Riggs Bank in Washington. According to Trento, the Embassy’s use of the Riggs Bank dated back to the mid-1970s, when, in his words, “the Saudi royal family had taken over intelligence financing for the United States.” (19) More accurately, the financing was not “for the United States,” but for the supranational deep state, involving both Saudi and American officials. I believe that these secret funds from Saudi arms deals—first Khashoggi’s from Lockheed, and then Prince Bandar’s from AWACS and al-Yamamah—are the common denominator in all of the major structural deep events that have afflicted America since 1976. 4 . Last but by no means least — 9/11, when two alleged hijackers, Khalid al-Mihdhar and Nawaz al-Hazmi, received monthly payments from a Riggs bank account held by Prince Bandar’s wife. The sale did go through; only a few congressmen objected. (22) The deep state, it would appear, is alive and well, and impervious to exposures of it. 1. Richard Helms, with William Hood, A Look Over My Shoulder: A Life in the Central Intelligence Agency (New York: Random House, 2003), 82–83. Cf. Scott, American War Machine, 26–28. 2. “In January 1946 Dulles outlined in some detail a reconstruction plan that is one of the earliest notions of what would, a year later, be known as the Marshall Plan” (Srodes, Allen Dulles: Master of Spies, 374). 5. 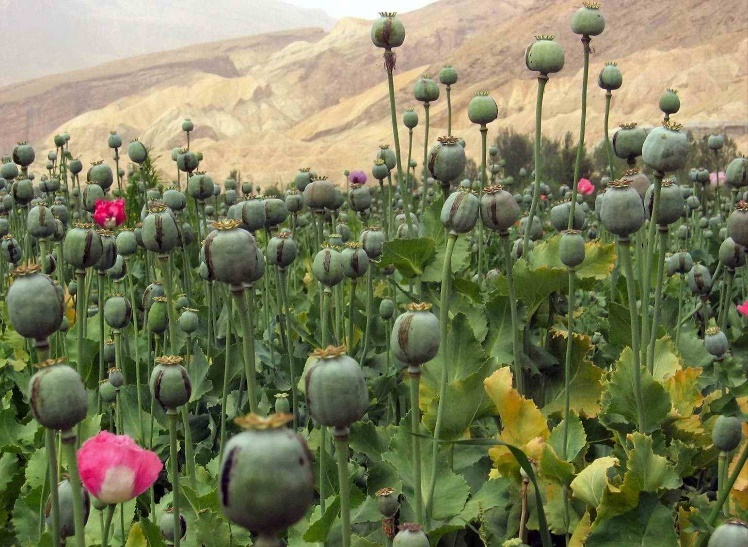 Peter Dale Scott, American War Machine: Deep Politics, the CIA Global Drug Connection, and the Road to Afghanistan (Lanham, MD: Rowman & Littlefield, 2010 ), 63–142, 239–53. The Karzai regime in Afghanistan is only the latest of CIA client governments to struggle to maintain itself with support from drug traffickers. Cf. Peter Dale Scott, “Can the US Pacify the Drug-Addicted War in Afghani- stan? 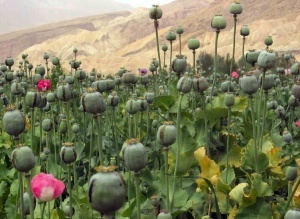 Opium, the CIA and the Karzai Administration,” The Asia-Pacific Journal: Japan Focus, April 5, 2010, http://japanfocus.org/-Peter_Dale-Scott/3340; Ryan Grim, “Karzai Releasing Scores Of Drug Traffickers In Afghanistan, WikiLeaks Cables Show,” Huffington Post, December 31, 2010, http://www.huffingtonpost. com/2010/12/27/karzai-releasing-drug-tra_n_801587.html. 6. Tim McGurk, Time, August 2, 2004; cf. USA Today, October 26, 2004. 7. James Risen, New York Times, December 11, 2010. Both traffickers were ultimately arrested by DEA officials: Noorzai in 2005, and Khan in 2008. The U.S. probably came to prefer Khan over Noorzai, because he was more closely allied to Ahmed Wali Karzai, another drug trafficker and CIA asset, as well as a central figure in the power apparatus of his brother Hamid Karzai, the U.S. client president of Afghanistan. 8. Time, November 29, 1993; Scott, American War Machine, 14-15. 10. San Francisco Chronicle, October 24, 1983, 22, described a USAF-Lockheed operation in Southeast Asia, “code-named ‘Operation Buttercup’ that operated out of Norton Air Force Base in California from 1965 to 1972.” For the CIA’s close involvement in Lockheed payoffs, cf. Anthony Sampson, The Arms Bazaar (New York: Viking Press, 1977), 137, 227–8, 238. 11. Anthony Sampson, The Arms Bazaar (New York: Viking Press, 1977), 137, 227–8, 238; cf. Thomas Fensch, ed. The C.I.A. and the U-2 Program: 1954–1974 (The Woodlands, TX: New Century Books, 2001). 13. Investigative reporter Jim Hougan reports the incredulity of congressional investigators that Lockheed was the only large corporation not to have made a contribution to Nixon’s 1972 election campaign (Jim Hougan, Spooks: The Haunting of America: The Private Use of Secret Agents [New York: William Morrow, 1978], 457–58). 14. Scott, Road to 9/11, 35; citing Summers, Arrogance of Power, 283; Robert Baer, Sleeping with the Devil (New York: Crown, 2003), 43. (Baer reports the year of the briefcase as 1968, not 1972.) Kolb (“unequivocally, and from personal ex- perience”) denies the briefcase story (Kolb, Overworld: The Life and Times of a Reluctant Spy, 299). 15. Peter Dale Scott, “Deep Events and the CIA’s Global Drug Connection,” 911truth.org, October 12, 2008, http://www.911truth.org/deep-events-and-the-cias-global-drug-connection/; American War Machine, 160-65. 16. “The BCCI Affair,” https://www.fas.org/irp/congress/1992_rpt/bcci/11intel.htm. Khashoggi’s status had declined, but by no means vanished. 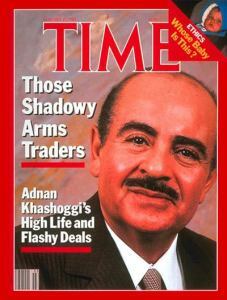 As late as 2003, Khashoggi was negotiating with Richard Perle, a member of the Cheney-Rumsfeld clique who at the time was still Chairman of the U.S. Defense Policy Board, to invest considerable Saudi money in Perle’s company Trireme (Seymour Hersh, New Yorker, 3/17/03). 17. “Saudi prince ‘received arms cash’,” BBC, June 7, 2007, http://news.bbc.co.uk/2/hi/business/6728773.stm. It is unclear whether payments continued after 2001, when the UK signed the OECD’s Anti-Bribery Convention, making such overpayments illegal. 19. Trento, Prelude to Terror, 102. 20. The Report of the Joint Congressional Inquiry into Intelligence Community Activities Before and After the Terrorist Attacks of September 11, 2001, 107th Congress, 2nd Session, S. Rept. 107-351 and H. Rept. 107-792,http://www.gpo.gov/fdsys/search/pagedetails.action?browsePath=107/HRPT/[700%3b799]&granuleId=CRPT-107hrpt792&packageId=CRPT-107hrpt792, 173ss. Discussion in Ottaway, The King’s Messenger, 198-99. 21. Dana Hedgpeth, “Pentagon plans $60 billion weapons sale to Saudi Arabia,” Washington Post, October 21, 2010. 22. The leader of the congressional opposition was Rep. Anthony Weiner of New York. Less than a year later, in 2011, he was forced to resign, after exposure of sexually provocative pictures that he had sent to female admirers on the Internet.